Many people mistakenly believe that a bike is a bike. As long as your kid(s) can reach the pedals and steer the bicycle, very little else matters. However, this is a falsehood. A properly fitting bike is one of the most important things you will ever invest in. Many people don’t consider the importance of a professional fit when they purchase a bike for their kids. They just see the glitz and glamor of the shiny new machine and have to have it. Well in the world of bikes, looks aren’t everything. A bike must fit your kid’s body to make the ride smooth and inspire confidence. Bikes are somewhat adjustable, parts can be changed out, and other modifications made to create the ideal custom fitting bike for your young rider’s particular body shape and size. When having your kid’s bike adjusted you should take into consideration these key points. Safety and the ability to quickly dismount the bike. One of the best ways to determine if a bike is right for your child is to get them on the bike in question and take it for a spin. 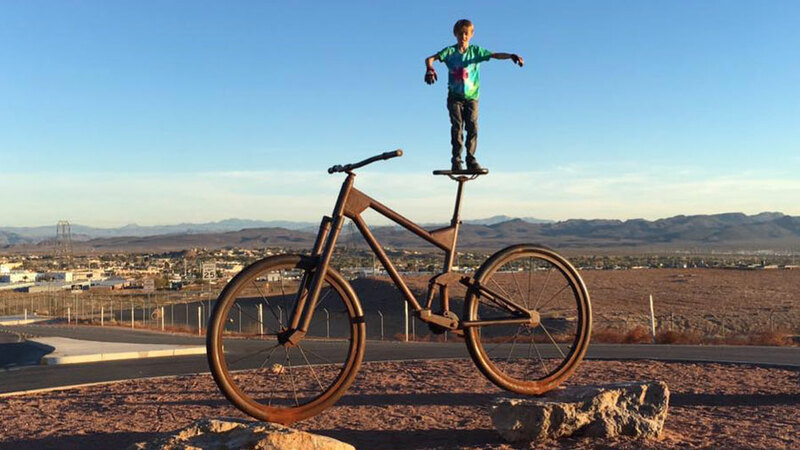 See how it fits their body, how it performs, and the bicycle’s overall feel. Prior to leaving the bike store with the newly purchased bicycle, you should have a bike professional make any necessary adjustments. When having a professional technician adjust the bike to your kid’s body, he/she should be wearing the bike shoes they’ll normally wear when biking and have the pedals you’ll be using readily available. If your kids wear a particular biking outfit, then on the day of the adjustments they should wear the same biking pants that they’ll traditionally wear for a long ride. Most bike technicians could take a little time to fit a bike properly, so be prepared to be at the shop for awhile. Usually, the first step to creating a custom bike fit is to set the bike up on a trainer and have your child hop into the saddle and start pedaling. While watching them in action with your bike, the technician will be able to determine the necessary tweaks to make the machine flow smoothly with their body.